Kennedy grew up in Crookston, Minnesota, a small town that is about as far north as you can go in Minnesota. Her town is known for the cold winter weather with temperatures sometimes reaching -60F. 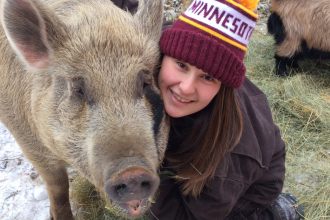 She graduated in the Fall of 2018 from the University of Minnesota Crookston with a major in Animal Science with Pre-Veterinary medicine emphasis and a minor in Equine Science. She also was involved with the university Honors program. She was accepted into veterinary school for fall 2019 and will be attending the University of Missouri and couldn’t be more excited! During the school year, she is involved with many clubs. She was president of her pre-veterinary club and study abroad club. This has kept her very busy throughout the years. She tries to keep herself busy on campus, and does this with being a student orientation leader, a student ambassador, a learning abroad ambassador, honors program, and a peer tutor. However if she is not on campus you will usually find her in the University barns. During the spring of 2018, she got to learn all about ultrasound with her undergraduate research with pregnant sheep. She absolutely loves the spring time, as this is the time all the new calves, lambs, and kids arrive at her university. She gets to play an active role in the babies care, as she is employed by the barns and is using the lamb weights for her research data. Since graduation, she has been working as a veterinary assistant at a small animal hospital close by to her hometown. During her free time she spends her days outside. 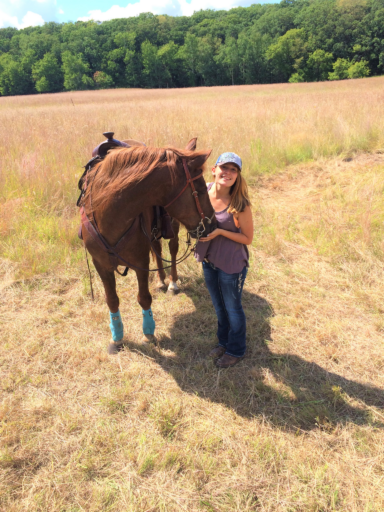 She loves riding her horses, going for a run, walking her dogs, and cat-fishing alongside the river. Her favorite activity however, is to just spend time at her hobby farm with her variety of pets including her 600lb pig Olivia and her peacock Calvin. Kennedy has gone abroad a few times in the past two years. She traveled to France in the spring of 2016 with the University of Minnesota Crookston, was a student in Fall 2016 Loop Abroad Veterinary Semester, traveled as a trip leader for loop abroad in July 2017, worked for Loop Abroad in Australia in summer of 2018 and also was able to visit Ireland and Scotland last summer with her university. 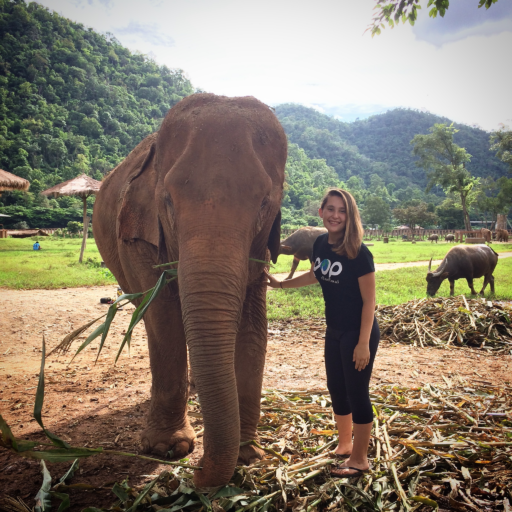 She loves Loop Abroad and she is beyond excited to be able to join the Loop Abroad team this summer. She cannot wait to share this amazing experience with her group.